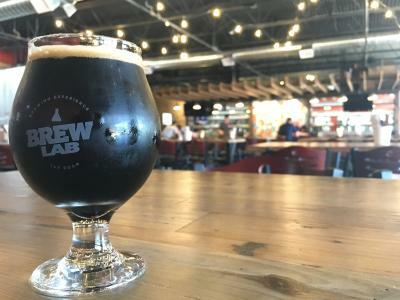 Since moving across Santa Fe Drive to its new location in Downtown Overland Park, Brew Lab has expanded its offerings. Originally a home brew supply store that included space to brew in, the new Brew Lab location, 7925 Marty Street, has all that, and then some. The then some being a full bar and restaurant. We recently went behind the scenes and talked to the founder, Clay Johnston, to get the scoop on everything Brew Lab. Now, let’s get into it, Q&A style. Also, don’t worry about us, we brewed our own beer while we were there. It was tough, but someone had to do it. 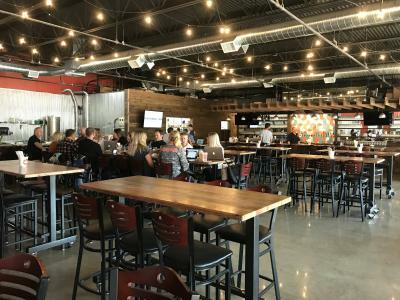 What caused the shift from the original concept to what Brew Lab is today? We had experienced such success in our old location, but we were really cramped for space. When this new space became available, we were able to expand our offerings far beyond our original design. What has been the biggest challenge going from a storefront, to adding a full restaurant and bar? We still find so many of our customers don&apos;t know that we&apos;ve added a full kitchen and taproom! To many people, we&apos;re still the little homebrew shop that could. When they see the new space, though, they&apos;re blown away. Someone comes in to Brew Lab for their first time. What can they expect? The first remarks we hear from our customers are about the beautiful space. It&apos;s warm and open, relaxed, but a little bit upscale. In almost any direction you look, brewing is taking place. We&apos;ve assembled a fantastic team, both in the brewery and the kitchen. The menu is clever and the food is consistently great. And of course, the beer flights are world class. Hit us with one can’t-miss brew and food that everyone needs to try at Brew Lab. Any tips for the novice home brewer out there? Don&apos;t hesitate to ask questions. Brewers love to share their knowledge, and don&apos;t skimp on the cleaning...sanitary conditions are crucial for beer quality. Tell us more about your classes. Who are they built for, what do you get out of it, how much do they cost? Our classes are hands on, and walk everyone through the process of beer making, from building a recipe, all the way through bottling. The classes are $50 per person. 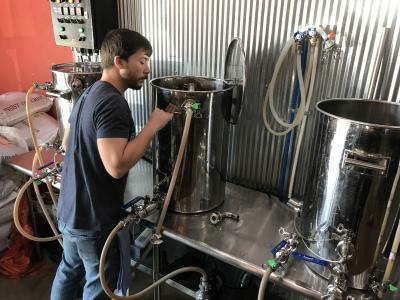 For the best brewing experience, assemble your crew of friends or coworkers, and schedule a YouBrew session...where you will be in the driver’s seat of your own brewery. 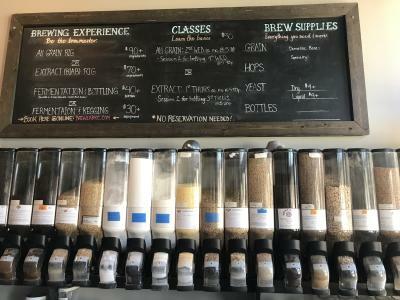 You get to choose the size of the batch (up to 10 gallons), the type of beer you&apos;ll make, and your personal brewing specialist will guide you through the entire process. Costs for the YouBrew experience range from $174-$272, and accommodate up to 6 people at a time. If you have out of town guests, can they still participate in classes? If not, what do you recommend for them to get the full Brew Lab experience? Out of towners can definitely join in the classes! They&apos;re offered the first and second Tuesdays of each month. Bottling is the third and fourth Tuesdays of the month. Let’s say someone doesn’t like beer. Can they still enjoy Brew Lab? I don&apos;t know why someone wouldn&apos;t like beer, but absolutely! 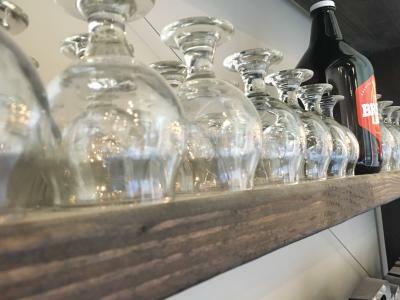 We&apos;ve got unique cocktails from all local ingredients, nitro cold-brew coffee, and three flavors of kombucha on tap. And we&apos;re kid friendly! Still have more questions about Brew Lab? Keep reading for more details on Brew Lab’s location and hours of operation. You can also read more about other KC | OP breweries, distilleries and wineries. Tulip glasses and growlers found inside the main entrance. An interior view of Brew Lab. A wide assortment of beer supplies for the homebrewer. The brewing assistant, John, checking on our beer. A glass of Brew Lab&apos;s Lactose No Tolerance.